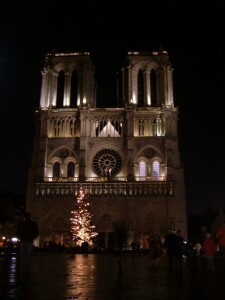 Notre Dame, a History in stone. 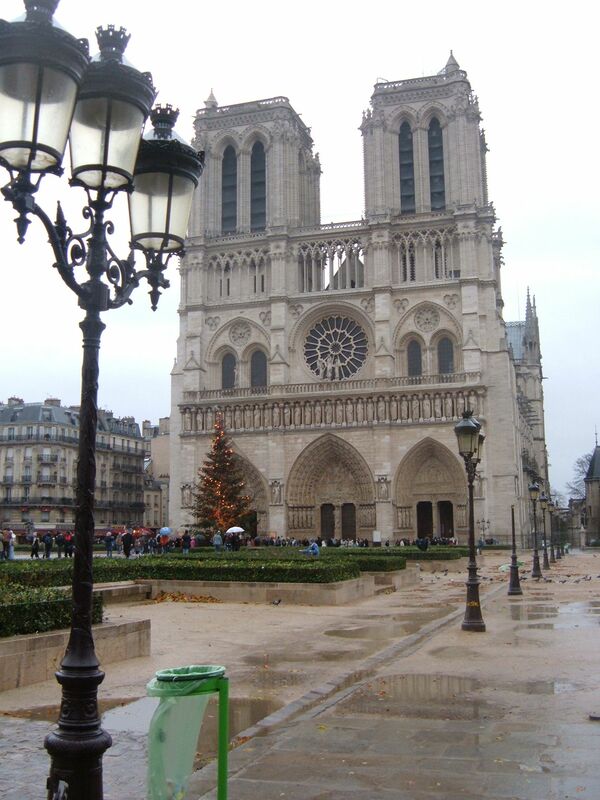 Ever since I read the romantic novel, Notre Dame, by Victor Hugo as a student, I dreamt of visiting the Cathedral of Notre Dame in Paris. I still remember how my heart skipped a beat at the sight of this great building as I crossed the bridge over the Seine to the Ile de Cite for the first time. 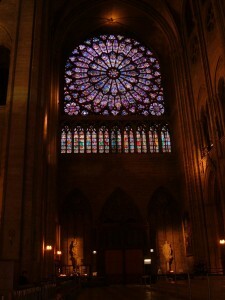 The Cathedral, probably the best loved in Europe, with its facade decorated by the central rose window and flanked by square twin towers, seem to beckon you inside. trunks sprout from the mosaic covered floors and reaches up to the roof where it branches out to support the roof structure. 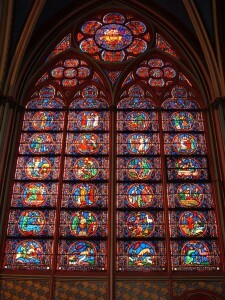 The whole Cathedral is bathed in soft light that filters through the coloured medieval stained glass windows. 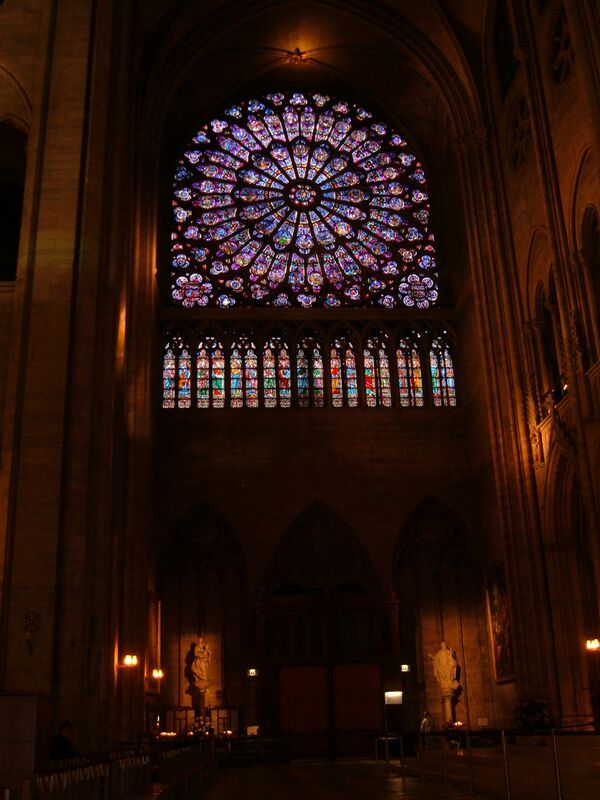 The lovely rose windows, which measure 13 meters in diameter, is said to be the most beautiful in the world. Once you look at the history of the Notre Dame, you can understand why it is called “ a history in stone”. 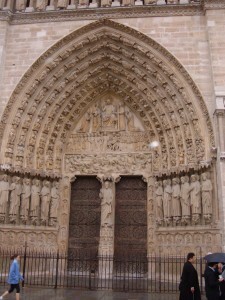 The Cathedral’s history echo’s that of Paris (and of France). It was built on the site of the ancient Roman Temple to the god, Jupiter. Building was commenced in 1163 under Maurice de Scully, Bishop of Paris. The building process took almost 200 years. What we see today is the result of enough money to build one of the wonders of the medieval world, combined with new Gothic technology to give us an architectural masterpiece. 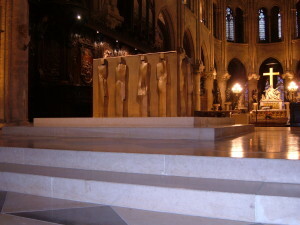 For the first time flying buttresses were used in construction. This enabled the builders and masons to reach new heights in walls because the buttresses carried the weight of the walls. 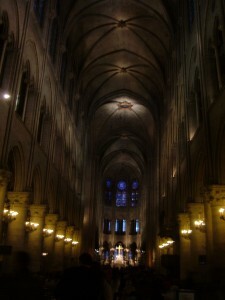 Windows became bigger and arches could span greater widths. The result is still awe inspiring today. The cathedral’s history wasn’t always happy. After the French Revolution religion was banished from the cathedral because it was associated with the reign of the kings of France. Robspierre dedicated the building to the cult of Reason. Still later it was used as an indoor marketplace and a wine cellar. Fortunately Napoleon saved it from demolition and had it restored to its former glory in 1802, in time for his own coronation in 1804. The more athletic visitor can climb the 387 steps up the tower to visit the famous gargoyles (made even more famous by the Walt Disney film, The Hunchback of Notre Dame). Gargoyles were used as waterspouts to direct water away from the cathedral walls, some had heraldic meaning while others were intended to ward off evil spirits! They are a real joy to see. The real reason to climb the tower, however, is to see the best views of Paris. If the effect of the building is so great on modern man, just imagine the effect on a medieval man, living in his mud house on the outskirts of Paris. 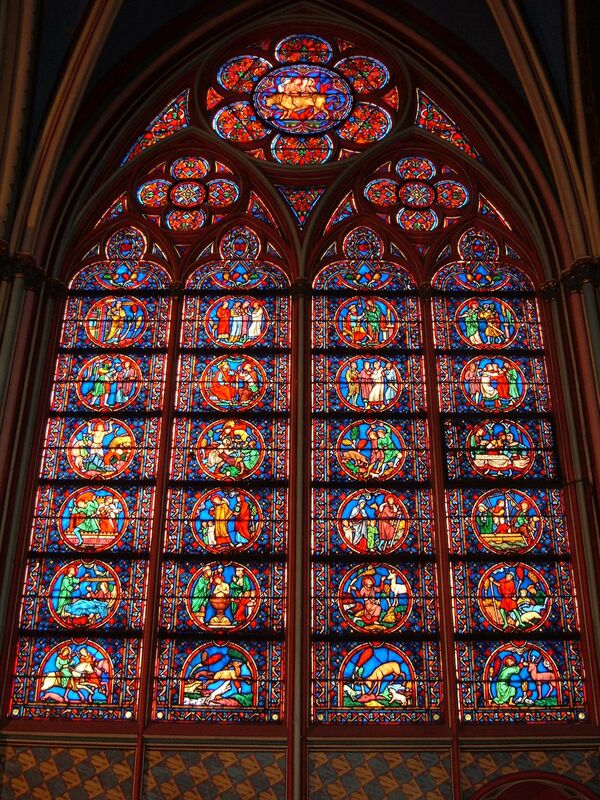 The aim of Gothic architecture was to uplift everyday life to the heavens. 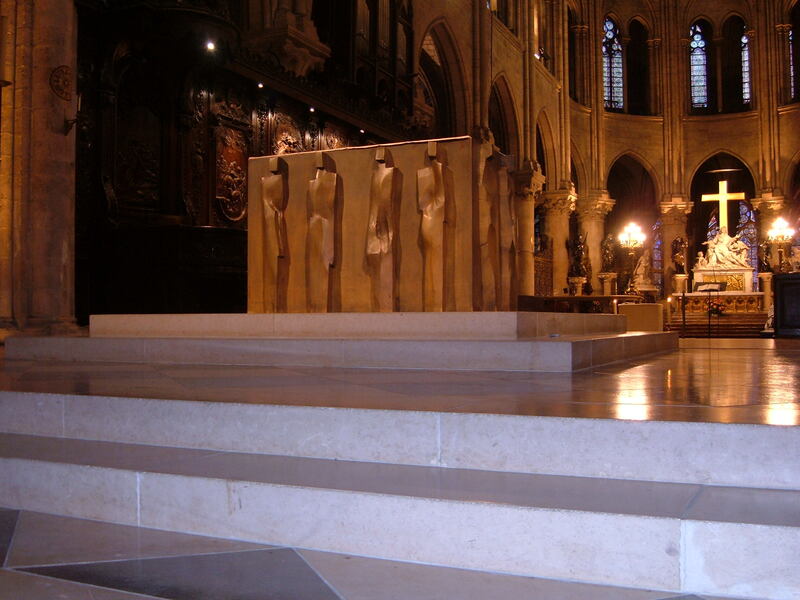 By building Notre Dame, they created earthly echoes of the New Jerusalem here on earth and on visiting Notre Dame I experience this. 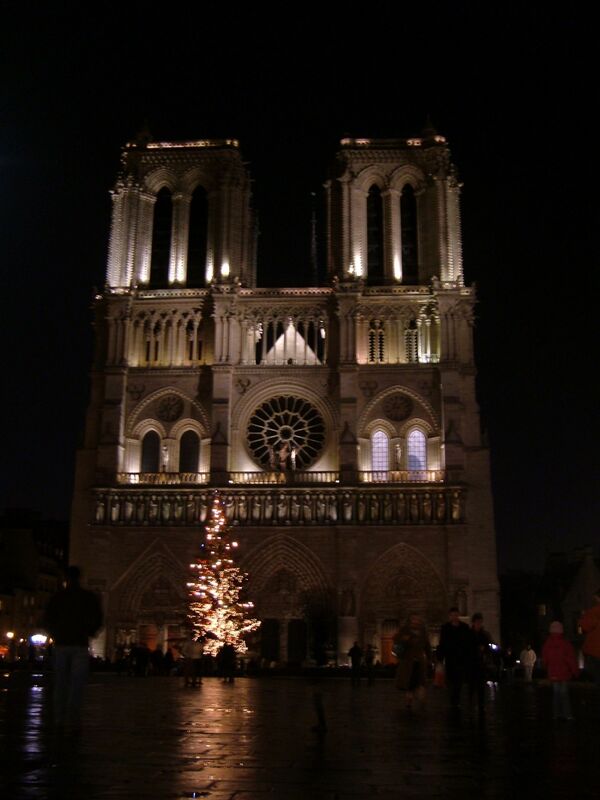 If you ever have the chance, visit Notre Dame, take time to become quiet, and allow this great cathedral to speak to you. A better view than from the Eiffel Tower?